The Ili pika (Ochotona iliensis) is a species of mammal in the family Ochotonidae, endemic to northwest China. After its discovery in 1983, it was not documented again until 2014. Its population is declining due to largely unknown causes, and it is currently considered to be endangered. The Ili pika somewhat resembles a short-eared rabbit. It is large for a pika, with a length of 20.3–20.4 cm and a weight of up to 250 g. It has brightly colored hair and displays large rusty-red spots on forehead, crown, and the sides of the neck. It is endemic to the Tian Shan mountains of northwest Chinese province Xinjiang. A recent census indicated that the Ili pika may have been extirpated from the Jilimalale and Hutubi South Mountains. The Ili pika inhabits talus areas on high cliff faces. This species constructs haypiles and is a generalized herbivore. Almost nothing is known about the ecology or behavior of the species. The Ili pika has low population densities. It is mostly a diurnal species, but may exhibit nocturnal activity. Only one to two litters are produced each year, but litter size for this species is unknown. The species was first observed by conservationist Li Weidong in 1983. 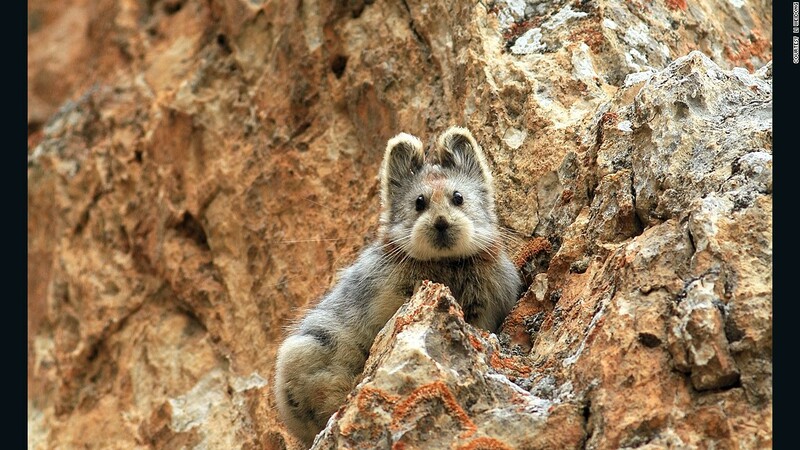 After three years of research, Li and his team named it the Ili Pika, after the area where it is found, the Ili Prefecture on the far west side of China's Xinjiang province. The animal was not documented again until May 2014 (again by Li). Its population has been reduced by 70% within 15 years. Population declines have been observed for several locations inhabited by this species. A recent census indicated that the Ili pika may have been extirpated from the Jilimalale and Hutubi South Mountains. Populations have declined in the regions of Jipuk, Tianger Apex, and Telimani Daban. Only one examined site, the Bayingou region of Xinjiang Uygur, showed signs of previously observed abundance. An estimated 2,000 mature individuals existed in the early 1990s. The exact causes for recently observed population declines are not known, but it is speculated that an increase in grazing pressure and global atmospheric pollution resulting in climate change are negatively affecting populations. Low population densities and reproductive rates coupled with the relatively limited ability to disperse impede the ability of the species to recover from declines. There are no known conservation measures in place for the Ili pika. ↑ Smith, A.T. & Johnston, C.H. (2008). "Ochotona iliensis". IUCN Red List of Threatened Species. Version 2008. International Union for Conservation of Nature. Retrieved 10 April 2009. Database entry includes a brief justification of why this species is of endangered. 1 2 3 4 5 6 Li, W.; Smith, A.T. (2005). "Dramatic decline of the threatened Ili pika Ochotona iliensis (Lagomorpha: Ochotonidae) in Xinjiang, China.". Oryx. 39: 30–34. doi:10.1017/s0030605305000062. ↑ Smith, A.T. & Xie, Y. (2008). The Mammals of China. Princeton University Press, Princeton, New Jersey. ↑ Smith, A.T. & Xie, Y. (1990). "Chapter 3: The Pikas". In J. A. Chapman & J. C. Flux. Rabbits, Hares and Pikas: Status Survey and Conservation Action Plan. The World Conservation Union, Gland, Switzerland. ↑ Li, W.; Ma, Y. (1986). "A new species of Ochotona, Ochotonidae, Lagomorpha.". Acta Zoologica Sinica. 32: 375–379.